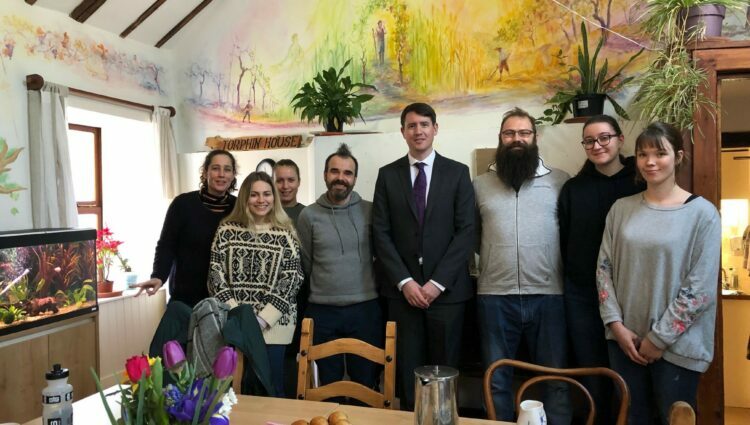 Meeting with Tiphereth’s pan-European caring staff this morning was really thought-provoking. 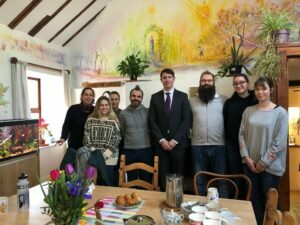 These workers put their heart and soul into caring and supporting people with learning difficulties, and yet, like thousands of workers across the health and social care sector, they have little if any answers about what will happen to them after Brexit – or how it might impact their own right to live and work here. I’m afraid to say I had few answers about the eventual outcome, no thanks to a Tory Prime Minister determined to run down the clock and force MPs to accept her deal. At the meeting I promised to take up with my MP colleagues the future status of EU citizens and that they ensure that a true and full impact assessment of Brexit on the sector is delivered. Camphill Scotland is seeking support from all political parties and across the social care and health sectors for a piece of legislation that will do just that. Brendan O’Hara MP has introduced a private member’s bill, the European Union Withdrawal (Evaluation of Effects on Health and Social Care Sectors) Bill on behalf of Camphill Scotland, the Alliance of Health and Social Care Scotland, SCVO and our partners totalling 99 organisations across the UK. The Bill is expected to be debated at its Second Reading in March 2019. The Bill would require the UK Government to make arrangements, after consulting the Scottish Government, the Welsh Government and the relevant Northern Ireland Departments, for an independent evaluation of the impact of Brexit upon the health and social care sectors across the UK, and for a copy of the independent evaluation report to be submitted to the UK Parliament. We believe an independent assessment is necessary to help shape and inform planning and decision-making in the health and social care sectors across the UK, including for services for children and young people, post Brexit.